Following the demolition of a former concrete product works, hydrocarbon contamination was indentified under the footprint of the buildings. The site is to be redeveloped with a residential development with private gardens. VertaseFLI was contracted by Harrow Estates at short notice to undertake removal of the contaminated hotspots. VertaseFLI undertook remedial works comprising of the delineation, excavation stockpiling and validation testing of three hydrocarbon hotspots, one poly-aromatic hydrocarbon hotspot and an ash hotspot containing elevated metals. VertaseFLI undertook delineation of the hotspots in conjunction with the supervising consultant to ensure the minimum amount contaminated soils were sent for offsite treatment. The hydrocarbon contamination was identified within the level of the groundwater table. 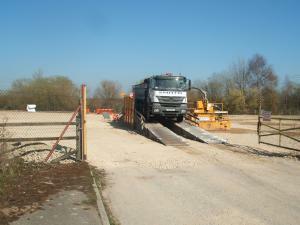 The clean overburden was removed for reuse and an onsite water treatment system used to control the groundwater level and provide onsite dust suppression. 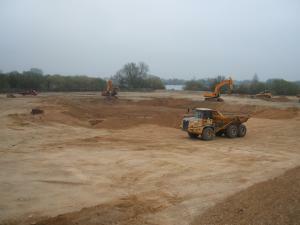 The resulting excavation was backfilled with engineered fill. For the delineation of the ash hotspot, a handheld X-Ray Fluorescence (XRF) scanner was used to provide immediate onsite results and ensured that the excavation could be undertaken swiftly and minimised the amount of material excavated. Approximately 9,300 tonnes of contaminated soils were sent to a treatment facility to avoid unnecessary land filling of soils.